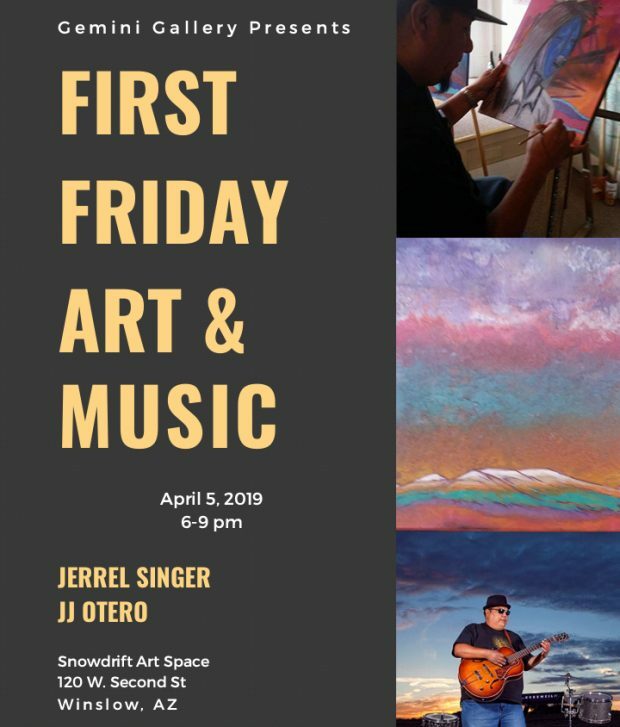 While Gemini Gallery moves to its exciting new location at 211 East 3rd Street, they hosted the April 5th First Friday — featuring artist Jerrel Singer and musician JJ Otero — at Snowdrift Art Space. Singer has a beautiful and unique style of painting, using mixed media to paint southwestern landscapes. His work was featured in the Museum of Northern Arizona‘s Pivot: Skateboard Deck Art exhibit, and in the Coconino Center for the Arts’ Hope+Trauma in a Poisoned Land exhibit and corresponding cover story in the Navajo-Hopi Observer. JJ Otero, band leader of Son of Hweeldi, will perform original songs and covers with percussionist Cliff Fragua. Both Otero and Fragua are highly-regarded artists and will also bring artwork for display and sale. It was a great time, and we hope to see you for an evening of the arts, refreshments, and fun at Snowdrift Art Space on May 3! Dan Lutzick, sculptor and co-owner of Snowdrift Art Space, is a participant in the Circle of Truth. 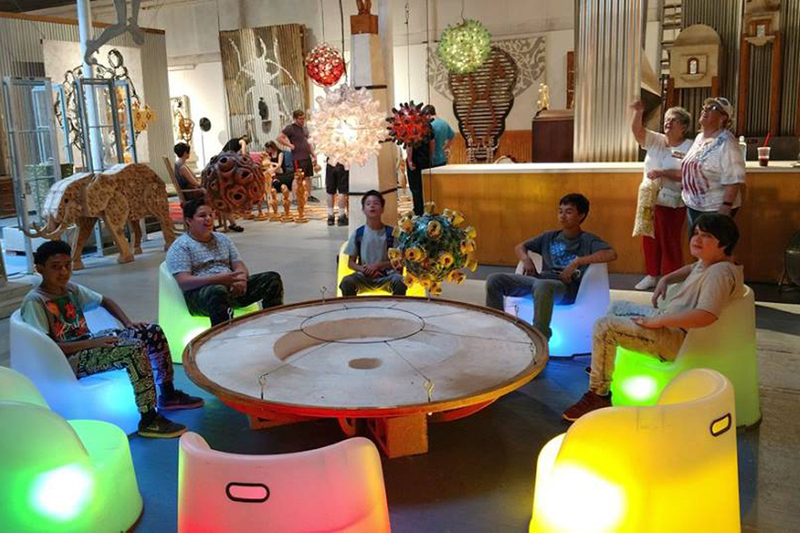 The traveling exhibition was on display from October 19, 2018, through March 11, 2019, at the New Museum in Los Gatos, California. It opens on August 10 at the MOAH Museum of Art and History in Lancaster, California, and runs through October 20, 2019. 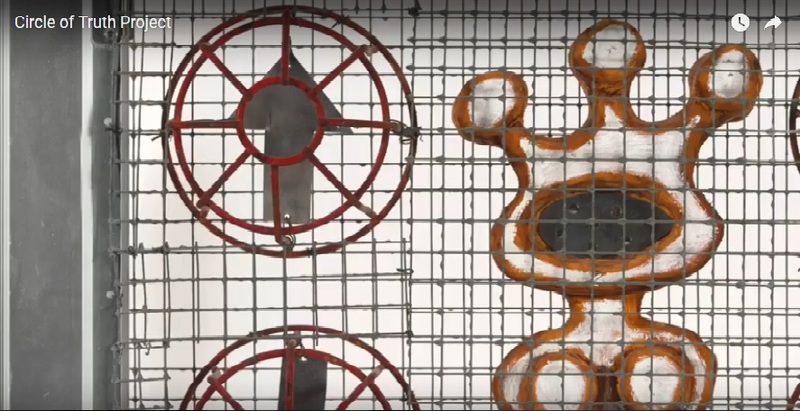 Conceived by artist Laura Hipke and co-curated with artist Shane Guffogg, the Circle of Truth is described as a “visual game of telephone.” Forty-nine artists created forty-nine works specifically for the project, all of which measure twenty inches square by two inches deep and will be hung in chronological order. Guffogg created the first piece and Ed Ruscha created the final piece. In between, forty-seven artists from Los Angeles, Arizona, and New York received the prior piece along with a blank canvas and the instruction to find “truth” in the piece and to respond with their own piece and essay about the experience. They received no information about the prior pieces or artists, all of whom keep the secret until the nine-year project was complete. Snowdrift Art Space will hold an Open House on Saturday, August 11, 2018, from 10 am to 4 pm as part of the Mid Summer’s Day in Winslow, which will feature events across downtown from La Posada Hotel to the Winslow Visitor’s Center/Hubbell Trading Post. Our thanks to the community partners — the Winslow Chamber of Commerce and the City of Winslow — for all the work they put into this event. We hope to see you there! Snowdrift Art Space hosted the Snowdrift Holiday Open House on Sunday, December 10, 2017, from 2 to 5 pm. 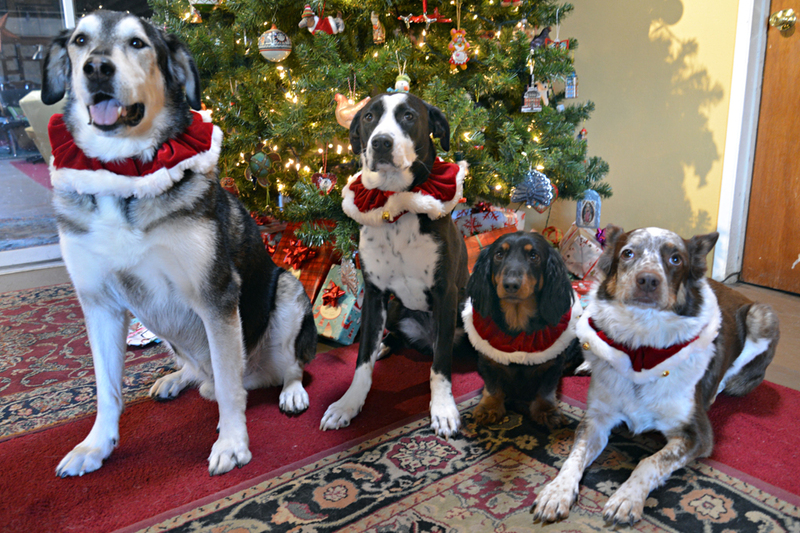 Admission was free for the 50 or so visitors who came and enjoye holiday decorations and refreshments. 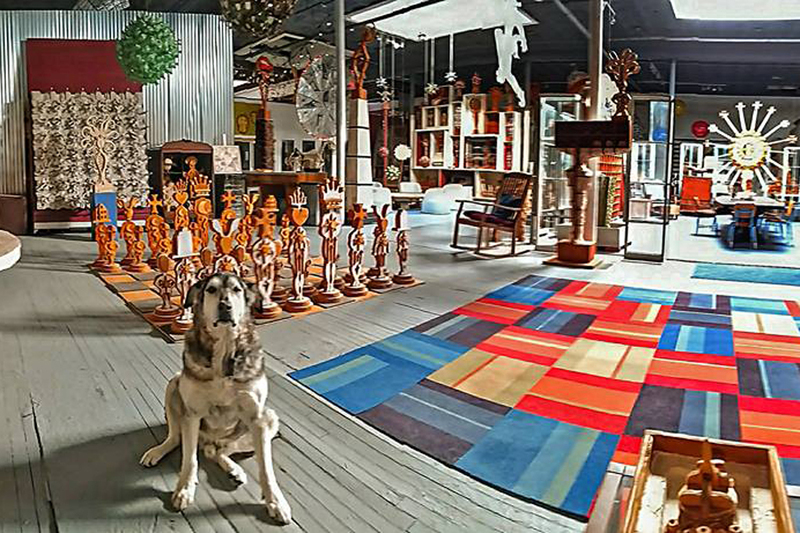 As always, you can schedule a guided tour of Snowdrift Art Space via email. The decorations will be up through New Years Day 2018! 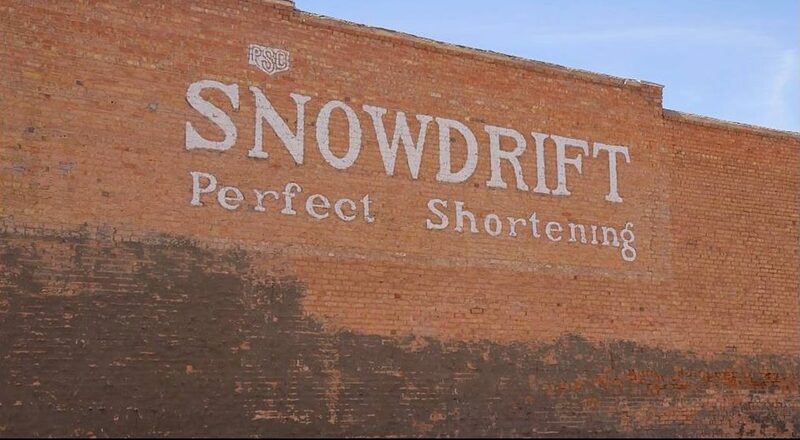 Snowdrift held an Open House during the Mid Summer’s Day in Winslow, which featured events across downtown from the Winslow Visitor’s Center/Hubbell Trading Post to La Posada Hotel. Our thanks to the community partners — the Winslow Chamber of Commerce and the City of Winslow — for all the work they put into this event. Snowdrift had a great turnout of 150 visitors!